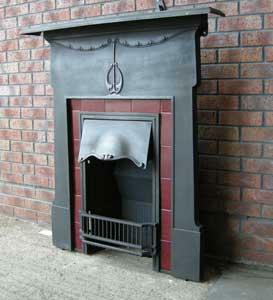 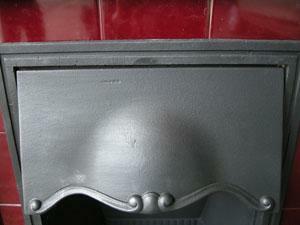 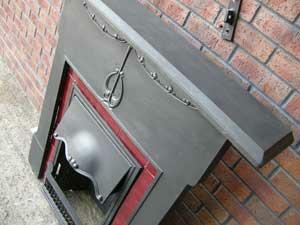 A stylish old original reclaimed antique cast iron Art Nouveau combination fireplace. 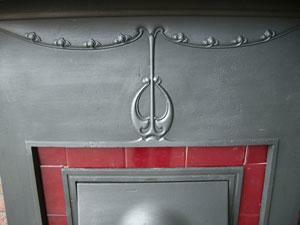 Shown with burgundy tiles which can be changed. 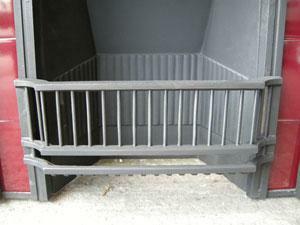 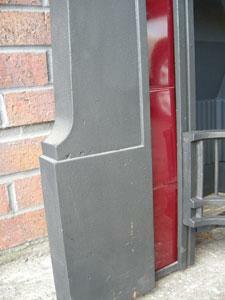 Supplied with replacement back and grate. 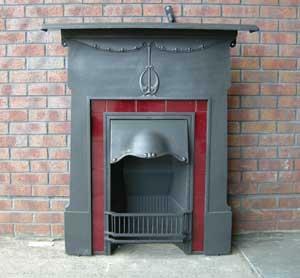 We currently have 2 of these available. 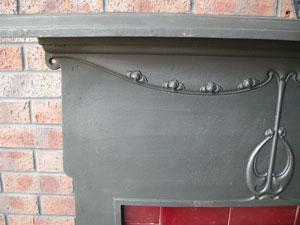 Price includes tiel which can be changed.